Complete range of Backshell for all circular connectors is now available from Amphenol now. These Backshells are QPL certified to AS85049standard and any variants of the same could be supported in short lead-time. The full technical details are available from the exclusiver our detailed catalogue BS-1, which can be given up on request. 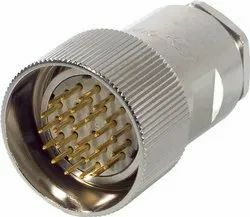 We are the leading entity of a wide range of Plastic Circular Connector. Complete range of Backshell for all circular connectors is now available from Amphenol now. These Backshells are QPL certified to AS85049standard and any variants of the same could be supported in short lead-time. The full technical details are available from the exclusive or our detailed catalogue BS-1, which can be given up on request. 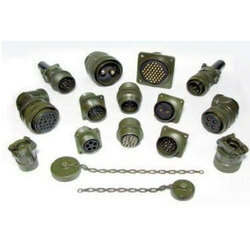 3 pole to 12 pole Industrial Connectors in straight or 90° versions, field-attachable or pre-moulded with cables. Standard gold-plated contacts. Transparent versions with PNP/NPN LEDs available. T- or Y- splitters and standard or customised cable assemblies offered. Complete range of Backshell for all circular connectors is now available from Amphenol now. These Backshells are QPL certified to AS85049standard and any variants of the same could be supported in short lead-time. The full technical details are available from the exclusive website or our detailed catalogue BS-1, which can be given up on request. Designed with 360° shield termination, durable twist-pin contacts and IP67/68 waterproofness, circular Micro-D connectors are suitable for use in many harsh environments.